The empty stock, led by 3CIG 1497 approaches Wimbledon on a gorgeous June morning. 4VEP 3417 is on the rear. Heritage repaint 3417 'Gordon Pettitt' stands at Waterloo. Where did 10 years go??!! Actually when I think about it an awful lot has changed in the past 10 years, purely on a personal level I have started and finished University, got my first 'proper' job- and then my second 'proper' job! I've made a lot of friends, had a lot of fun and, of course, seen a lot of trains! It somehow just doesn't feel like a whole 10 years have gone by since we had to say goodbye to the slammers though. After all these were the trains that got me into the hobby and I will never forget those early days for me, with my Platform 5 book, a handful of unit diagrams from long since deceased Yahoo Groups and a London Travelcard. The format was simple- how many of the 'slammers' could I do in a day, and what were the best units I could get a ride on. Even in the dying days of the 400 series stock there were still CEP units around, and these probably got the most attention, then there were those units which were in unusual liveries- South Eastern had the green CEP 1592, the unique Connex CEP 1602, and still retained some CIG's and CEP's in Network South East colours (all be it very shabby!). 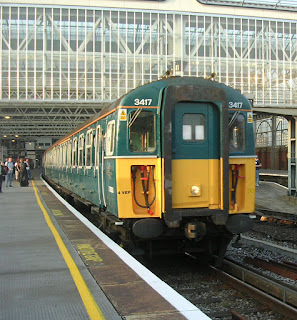 On Southern there were the 'phase 1' CIG's- some still with string luggage racks in their compartments and 3514- the only VEP to receive the attractive green livery which came in with Govia taking the franchise. On the South West division four 4-VEP's lingered on in NSE colours, and of course there was 'Gordon Pettitt', VEP 3417 which received a stunning repaint into BR Rail Blue. 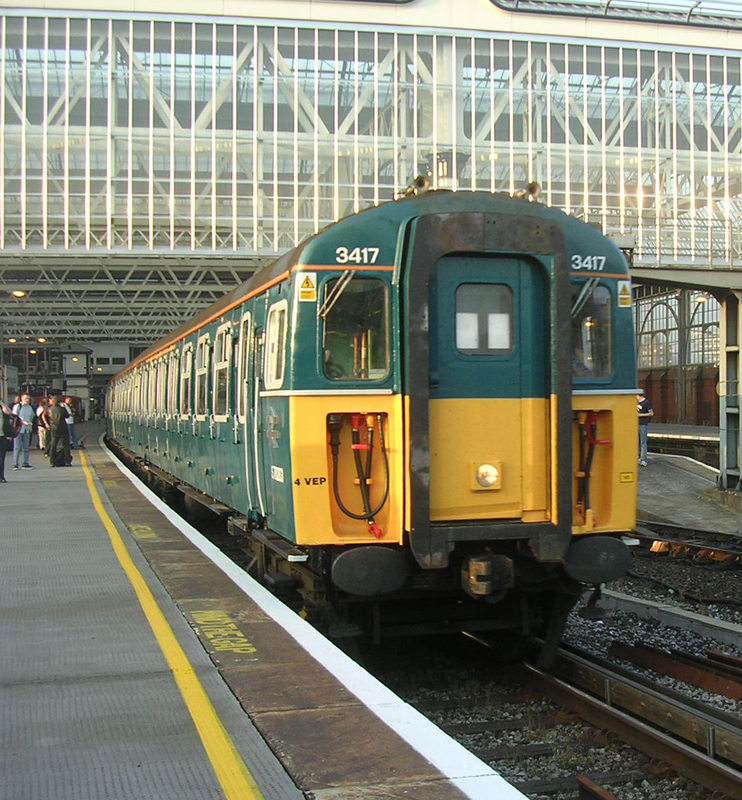 replacement fleet of Siemens class 450 and 444 'Desiros'. By the beginning of 2005 it was clear that the last of the slammers, condemned so many years previously, were not going to see out the year. 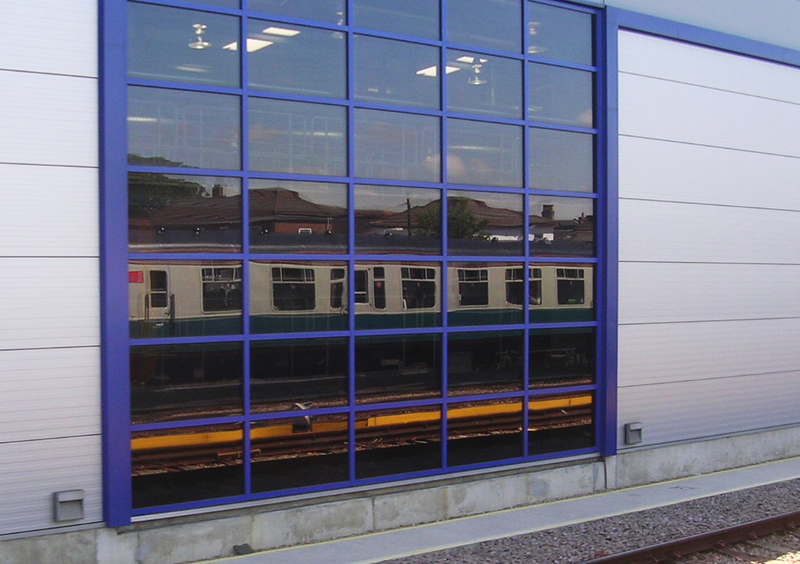 The first of the three operators to say goodbye to the slam doors was South West Trains. The final passenger service train was run in late May leaving just two 'Seaside Slammer' excursions, the first on the 11th June for staff, and the public outing on the 18th June to bring the curtain down. 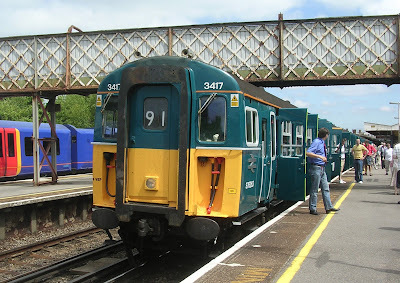 Celebrity unit 3417 'Gordon Pettitt' together with 3-CIG 1498 'Freshwater' (overhauled and painted into Blue/Grey livery for its retirement on the Lymington Branch, which would remain as a 'Heritage' slam door operation) were turned out for the public tour. 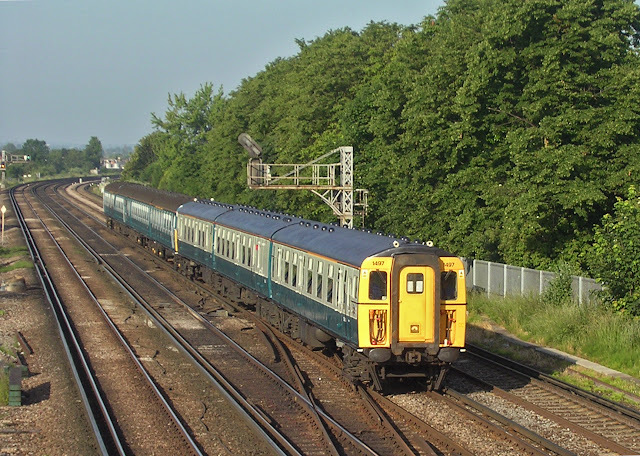 The weather could not have been better for the run down to Weymouth which ran outwards via the Guildford New Line and the Portsmouth Direct before rejoining the mainline at Southampton. The return was a run straight up the mainline concluding with a 'fast' run up from Bournemouth to Waterloo. This was a fitting end to slam door operation in the South West, and now left just two operators to battle it out for the honor of running the last Mk1 slam door train later in the year. VEP 3417 in the sunshine at Brockenhurst on the outbound run to Weymouth.